I have become aware of a very sad phenomena; The terrible in-fighting among Krav Maga associations in the United States and perhaps elsewhere. When I first started training in Krav Maga I did not even know it was called Krav Maga. We never stressed any name. We just showed up and trained. My instructor, Itay Gil, never called it anything in those days. I vaguely recall as the years went on that various names were used. But we were hardly aware of them, they were only for flyers or advertisements; Israeli Jujitsu, Survival, Street Combat. No one paid any attention to it. We just trained, that was all that mattered. I was completely unaware of any federations although we did join some seminars from time to time in Tel Aviv and Ariel. I was unaware of any alleged "founder", lineage, or who held the claim to any "original" Krav Maga. There was never any argument over who is better. To this very day I am in touch with all those instructors, we may have gone in different directions but there is only friendship and mutual respect. We take photos together, share ideas, and drink coffee. 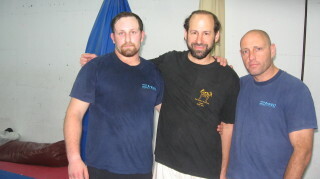 Moshe Katz, Mordi Glam and Frank Dux; different styles, nothing but respect. When I was asked to teach Krav Maga seminars to American students I consulted with my teacher. And of course I would not teach any seminars without the knowledge, approval and blessing of my teacher. These are traditional martial arts values and just proper ethics. He told me quite clearly that what we had been doing all these years included Krav Maga. He made it clear that we had trained in Kickboxing, Jujitsu, Judo and BJJ, but that the self defense training; knife, gun and stick defense etc, was pure Krav Maga, and this was exactly what he taught to the Israeli Special Forces and the elite commando units of the IDF. We just never bothered using name tags. When I was asked by leading martial artists in American to form a new, pure, Krav Maga association, (free of politics and the selling or ranks) I agreed, but only after consulting with my teachers and several key rabbis. The name IKI was chosen by my teachers. IKI is a calling, not a business enterprise. Fast forward to the year 2003 when I attended the Karate College seminars and I took a class with another Israeli instructor. Although he was very well known and very successful in America he retained a certain honesty and humility. When I told him that I am ranked with Itay Gil he stepped back humbly and said, "In that case I have nothing to teach you." He invited me to join his class, gave me his instructor T shirt as a gift, but made it clear that he had nothing to offer me in terms of Krav Maga training. I attended his class, learned the techniques, took notes and photographs. As soon as I came home to Israel I shared these techniques with my instructor and asked him "Is this Krav Maga?" as it was totally different from what we had learned. He explained that this was Krav Maga that way it was practiced many years ago but that these techniques had failed on the street and were subsequently dropped by the Israeli Special Forces and Yamam, the special police units. He also pointed out the flaws to me, step by step, and explained the weakness of these techniques. Thus it came as a surprise to me that most international Krav Maga associations are still teaching these old techniques or some similar version. IKI is a more recent evolution of the Krav Maga that I learned. We have taken it a few steps forward into the future and made what I believe are significant improvements. Our goal is Krav Maga for the masses, simple and effective. Our motto: "Easy to learn, easy to apply, easy to remember." Thus we are different from other schools of Krav Maga and it can safely be said that IKI is a style of its own. We do not claim to be teaching the same Krav Maga that was taught in the early 1960's. And yet we are grateful for the foundations laid by the early teachers of Krav Maga, Kapap, Hagana etc. When I was a university student I quickly discovered that each and every professor considered his course to be of utmost importance. I found this frustrating because I wanted to focus mostly on the "important" courses and cruse through the less significant courses. But no professor would consider his course less significant. In fact the first lecture of each course was a discourse on how vitally important this topic was. I soon however accepted this as something positive. Why should I study with someone who feels that what he is teaching is less important? I would rather study with someone who feels that his course is vitally important. Thus, Accounting was vitally important. Analyzing portfolios was vitally important. International financial transactions were vitally important. Statistics was very important. Everything, as it turns out, was vitally important. But this is positive. Each and every instructor feels that what he is teaching is very important, otherwise he would not be teaching it. In the same vein I would say each and every martial arts instructor should feel that what he is teaching is vitally important and is the best, as far as he knows. Thus a certain pride in what one teaches should be expected. If you did not think Judo had value you would not be teaching it. The same is true for every style of Krav Maga. What we do not need is arrogance, disrespect, mud-slinging, bad mouthing, and an attempt at discrediting another school or instructor. On the pages of this website you will never find a negative word about any school, instructor, association, or federation. What you will find is honest thoughts about self-defense; what I believe will work for you, and what I believe will not work for you. I also believe it is wrong to actively recruit members who are already affiliated with other associations. Very often our instructors are directly contacted by "competing" Krav Maga associations. My members are offered rank advancement (without testing), financial benefits and "control of regions" (sounds more like the game "Risk" the quest for world conquest). They are also offered financial and business incentives. Recently many of our IKI members received a group e mail about a huge discount on instructor courses in Krav Maga. Some of these members are beginners. Stop hunting after my students! Are we no better than professional head-hunters who will actively recruit star employees already happily employed with other firms? I have been informed by one of my top instructors in the USA that the Krav Maga infighting has caused severe damage to the Krav Maga image. 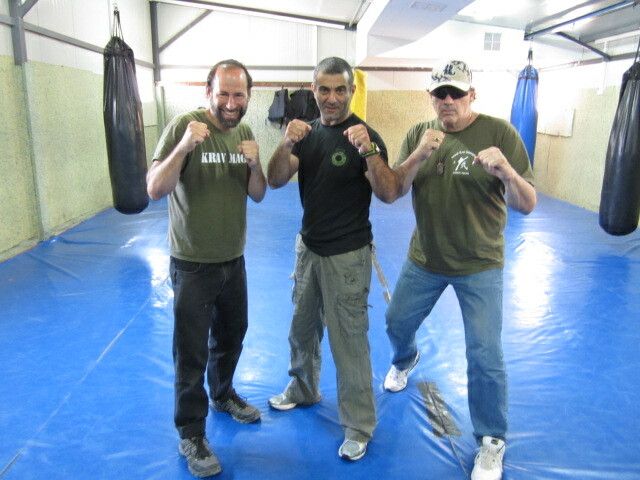 Here in Israel I have never had a negative encounter with Krav Maga instructors or practitioners from other styles. We have the same motivation, we all have the same goal, we all face the same dangers and the same enemy. We are unarmed comrades. We have our differences in how we train but we agree on the same core values. And there is mutual respect. We freely exchange ideas and techniques. We present a united front to the public. With IKI Instructor Alberto Labra in Mexico, the seminar he hosts always attract students and instructors from many schools; unity, friendship, respect. In summation we are unique, we believe in what we do, we are very proud of what we have created, and yet, there is never a need to disparage anyone else. I hope each and every IKI instructor and member will always treat all other Krav Maga instructors and students with respect, the same holds true for instructors and students of all martial arts. I have seen outstanding practitioners of every art and style, and I have heard stories of their arts being used successfully in real life encounters. And while we advocate our style we must be respectful of all styles. At many of our seminars, such as those in Rincon, Puerto Rico, Mexico City, and Destin, Florida, Königsbach, Germany, and many others, instructors from many styles attend our IKI seminars. The atmosphere is always one of friendship and respect. As our parents taught us years ago, Don't wash your dirty laundry in public.